Now you can get your message out to The Dance Journal’s readers by placing a Classified Ad. You get exposure on the home page as well as in the right column of every article published. 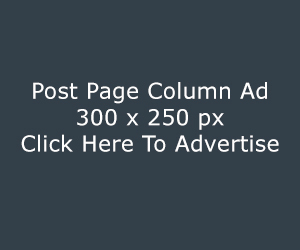 Your ad will be seen by up to 50,000+ readers a month or an average of 12,000+ weekly readers. 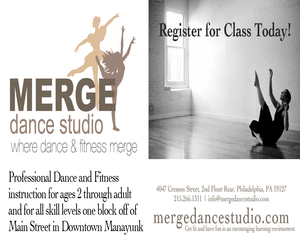 These ads are placed by individuals not affiliated with PhiladelphiaDANCE.org or The Dance Journal. PhiladelphiaDANCE.org and The Dance Journal are not responsible for the content. Content is the sole responsibility of the person submitting the listing. PhiladelphiaDANCE.org and The Dance Journal makes no claim to the accuracy or authenticity of information contained in the listing. All transactions are strictly between the individual parties, the party submitting the listing, and the party responding to the listing. 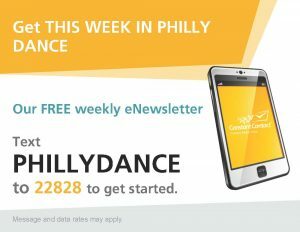 PhiladelphiaDANCE.org and The Dance Journal will not be liable for any loss or damage as a result of the transaction. 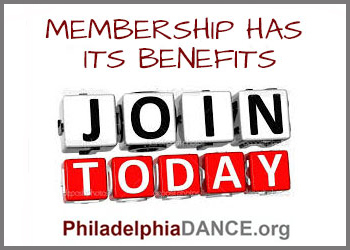 PhiladelphiaDANCE.org and The Dance Journal, at its sole discretion, reserves the right to refuse any listing that it considers inappropriate. Submitting a listing or responding to a listing implies acceptance of these Terms.